In common with similar designs of the era, this is a very compact lens, weighing in at a modest 202g without caps. No lens hood was supplied as standard, so here an Olympus 28mm hood from the same era was used. The filter thread is 49mm, so any filters used should be relatively low cost. Whatever we have gained with modern lenses, it becomes immediately obvious that one thing we have lost is the delightful, silky smooth feel of a finely made manual focus lens. This Chinon may have been an inexpensive option compared to the marque lenses, but it is every bit as gorgeous as say a Pentax M series optic. It is beautifully tactile in operation. 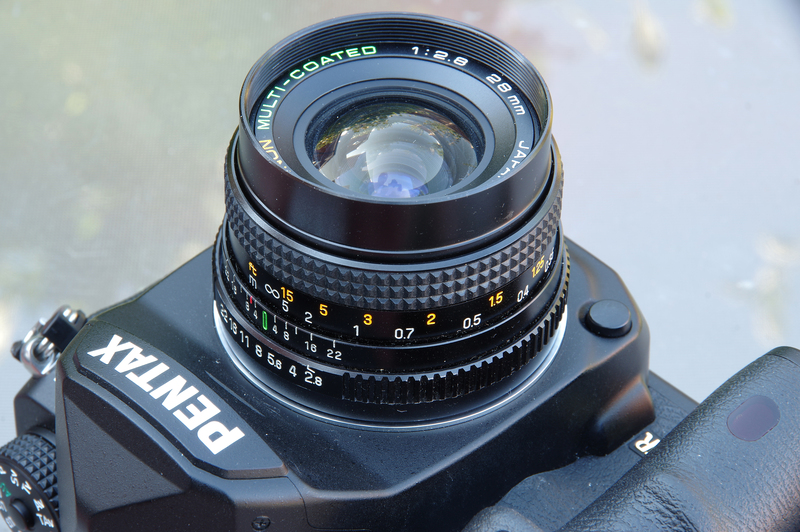 The same fine quality experience is also felt with the aperture ring, which is just perfect in its balance between smoothness and enough firmness to prevent it being sloppy in action. The distance scale is clearly marked in feet and metres and a useful and meaningful depth of field scale is also provided. Apart from that, there are no electronic contacts and no other features on the lens. It is worth mentioning that the “auto” in the lens name refers to an automatic diaphragm, where the lens close down to the aperture selected when the shutter is released and then opens up again instantly for focusing. At a time when many lenses were preset and had to be used manually the auto diaphragm was a feature to be mentioned. Now we take it for granted. 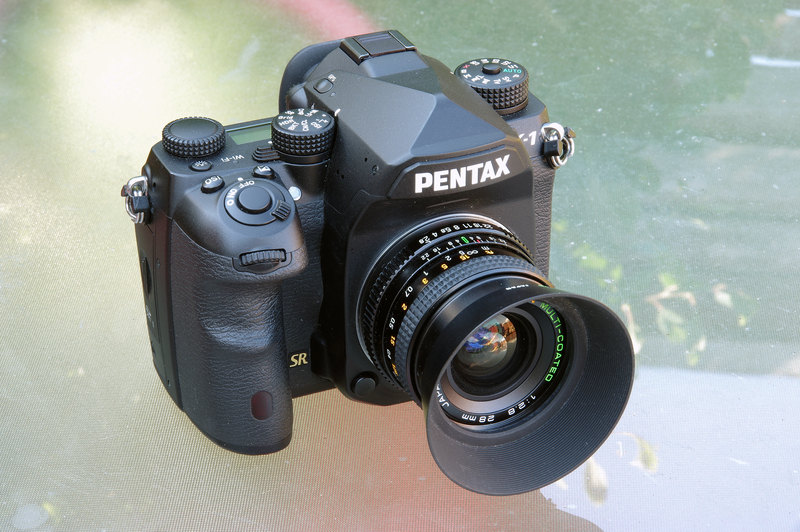 Focusing is quite positive visually, aided by the Pentax K-1 giving a confirmation beep if the camera is set to AF. Although wide angle lenses will always be more difficult to focus manually, in this case it works relatively well. It is even more accurate if Live View is used with magnification. There is no electronic information being exchanged between camera and lens the exposure system has to be used in manual stop down mode. In the case of Pentax cameras, the mode dial is set to M, the green button pressed, the camera briefly stops down, takes an exposure measurement and sets the shutter speed to match the aperture in use. Then the exposure can be made and the lens will stop down correctly. The lens focuses down to just under 1 foot, or about 0.3m, which is what we would expect. General handling is trouble free, the lens works well and the only real limitation is that stop down metering does slow down the picture taking process. Some may argue that this can be a good thing and can improve our attention to the details in our images.